Heidrick & Struggles has appointed San Francisco-based Partner Scott Atkinson to lead the Venture Capital Practice, succeeding Rebecca Foreman Janjic, who earlier this year was named the Global Practice Managing Partner for the firm’s Global Technology and Services Practice. CHICAGO and SAN FRANCISCO, Aug. 2, 2018 /PRNewswire/ -- Heidrick & Struggles (Nasdaq: HSII), a premier provider of executive search, leadership assessment and development, organization and team effectiveness, and culture shaping services globally, has appointed San Francisco-based Partner Scott Atkinson to lead the Venture Capital Practice. Atkinson takes on this leadership role, succeeding Rebecca Foreman Janjic, who earlier this year was named the Global Practice Managing Partner for the firm's Global Technology and Services Practice. "Heidrick & Struggles has a rich and deep history working with venture capital firms and maturing technology start-ups needing to fully harness senior-level talent who can accelerate growth," said Krishnan Rajagopalan, President and CEO, Heidrick & Struggles. "Scott is well positioned to lead this specialty practice with a proven track record in senior-level leadership searches for venture capital, private equity and investment banking firms." 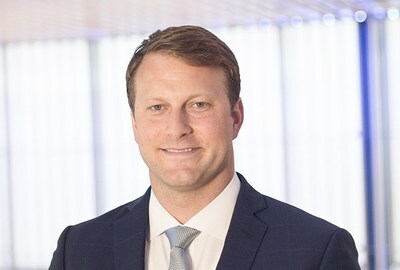 Since joining Heidrick & Struggles in 2010, Atkinson has led searches for chief financial officers, chief executive officers, board directors, and executives for leading publicly traded, private equity, and venture capital-backed companies experiencing growth, innovation, restructuring and global expansion. Previously, Atkinson served as a senior member of the legal team and human resources group at CollabNet, a venture-backed provider of enterprise cloud development solutions. "There is incredible opportunity to help venture-backed companies navigate the leadership and talent challenges that come with rapid growth," said Atkinson. "Heidrick & Struggles has a talented group of leadership advisors who are passionate about helping venture-backed and growth-oriented companies shape the future, and I look forward to further building our capabilities in the sector." The new Artifical Intelligence Specialty Practice to help established organizations of all sizes find and develop leaders with the ability to apply a deep understanding of AI to rethink and transform the business model. The launch of the Game-Changer Collaboration partnership including leading corporations, venture accelerators, technology foundries and research institutions in the U.S., China, Singapore and Israel. Leveraging proprietary, data-driven tools to provide clients with deeper candidate insights and real-time sharing of engagement and candidate information. The growth of advisory capabilities in Heidrick Consulting helping to drive the success of leaders, teams and organizations in a rapidly changing world.